Tracy's Notebook of Style: J.Crew / J.Crew Factory Sale + Free Shipping! Modern Tee This tee runs slightly smaller (it's not as long) than the usual J.Crew statement tees, I went one size up because I like a looser fit and they do shrink slightly. Jewelry Tray This looks exactly like the square version of the one I saw at the regular J.Crew store, but this one is in a chic gold chevron! Faux Fur Infinity Scarf It says this is an infinity scarf, it looks like a wrap scarf to me like the one they carried last season and because it's not an everyday item (unless you are a Beverly Hills housewife, haha. ), it's the perfect price for a season piece. Phone Case I told myself I wasn't going to buy anymore Kate Spade phone cases...so this don't count right?... it's just a phone case. 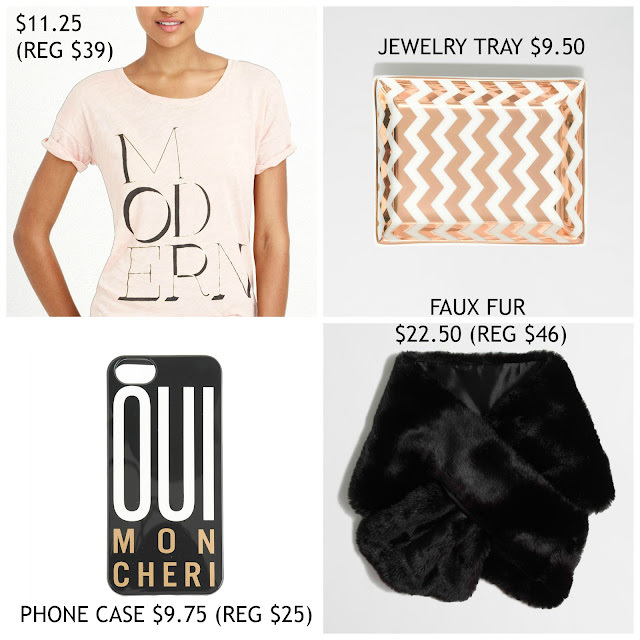 Some of the stores are taking an extra 40% off sale prices! 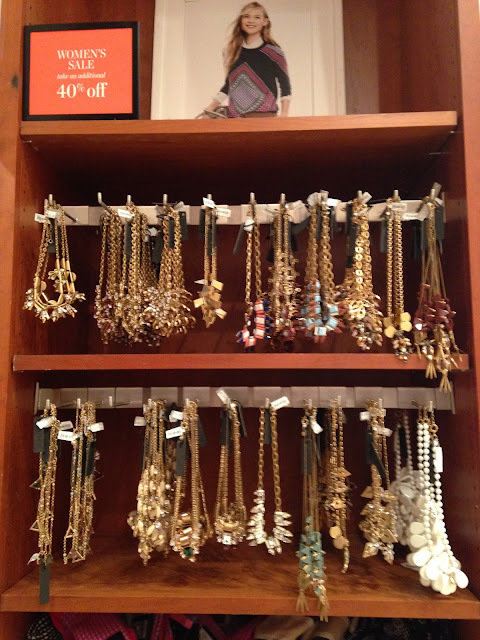 So many jewelry on sale at the stores - I've never seen this many markdowns! I love free shipping! Headed to their site now! Me too - it's the only way to online shop!